Four years after Samantha Cordon walked onto the Schreiner University campus, the senior can look back now and say she was part of something special. The Edinburg North product is one just two seniors remaining on the roster this year from a class of 10 that started back in 2015. But Cordon has been critical to the Mountaineers’ softball turnaround. They’ve rebounded from a hapless 20-61 during her first two seasons to 22-11-1 this year — a .647 winning percentage. And through thick and thin, Cordon has been a leader on the field. She hasn’t missed a start in four years, playing in 157 straight games through April 8. This season is the first baseman’s fourth straight batting above .315 (.358 in 2018), and she’s already set a new school record for career hits with 164 — breaking a 15-year-old mark of 153. 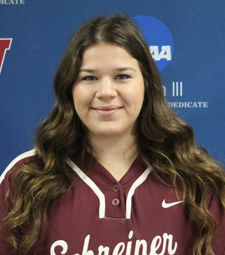 Cordon said her time at Division-III Schreiner in Kerrville has been a “rewarding journey,” and that the team’s turnaround can be credited to softball coach Amy Meyer, whose first season was the same as Cordon’s — 2015. Cordon, a right-handed clean-up hitter, started every game as a freshman and batted .347 with 22 RBIs. Cordon, a psychology major who has earned a slew of academic awards, said she and the Mountaineers have been busy preparing for next weekend’s Southern Collegiate Athletic Conference Tournament and will try to put a positive cap on the best Schreiner season in a decade. Texas A&M-Kingsville outfielder Manny Loredo doesn’t make mistakes. His stat sheet can back him up. 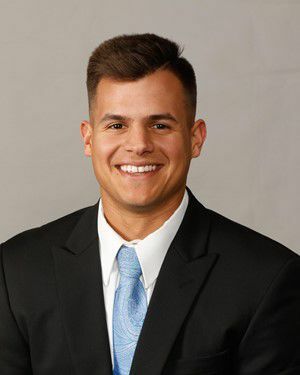 He’s had 50 chances in the outfield for the Javelinas, and the junior and 2014 McAllen Memorial grad has converted 48 of them into putouts while the other two were assists. No errors. Loredo, a right fielder, is helping lead the Division-II Javelinas of the Lone Star Conference to a 31-10 overall record (10-6 in conference) with eight games remaining before the conference tournament. Loredo, a 5-foot-7 UTRGV transfer, is the team’s second-leading hitter with a .305 batting average and is tied for the team lead in home runs with four. He has started 32 of the 36 games he’s played in this year. The Prairie View A&M University softball team started the 2018 season 2-12. Enter former PSJA High all-district infielder Gabrielle Fonseca, and now the team is 12-19 and 9-5 in the SWAC (Division-I Southwestern Athletic Conference). Fonseca’s upturn in play at the plate has mirrored the Panthers’ improvement on the diamond. Fonseca, a sophomore transfer from McClennan Community College, really began to turn it around in late March, when she was scuffling with an .083 batting average. But in Prairie View’s next game, against Alabama State, she went 3 for 4. From there, Panthers ripped off a six-game winning streak. Fonseca has improved her average nearly 200 points. Fonseca, a righty, has started 13 of 23 games she’s played in. The 5-foot-7 second baseman has committed just one error in 41 chances. Consider former Brownsville Veterans star David Anaya an early bloomer. 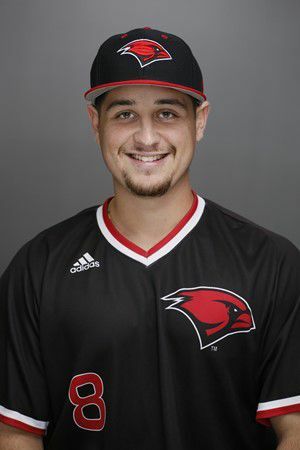 Last year, the University of the Incarnate Word infielder started 52 of 53 games for the Cardinals while batting .288 and leading the team in RBIs as a freshman. He also made the Southland Conference Commissioner’s Honor Roll with a 3.61 GPA. Now, Anaya is at it again. This year, the 5-foot-11 third baseman is batting .292 and is third on the team in RBIs with 31 for the 26-16 (10-8 in Southland) Cardinals in San Antonio. Anaya has hovered around the .300 mark all season. At one point, he was hitting .330. He also had a highlight reel game against Prairie View on April 10, when he went 5 for 6 and scored five runs. Anaya has only struck out 16 times in 144 at bats and has walked 24 times. Know an RGV athlete doing well at the collegiate level in any sport? Send us a tip at gluca@themonitor.com.